This guide provides instructions for quickly setting up your AirLink gateways and routers and for getting started using AirLink Management Service (ALMS). 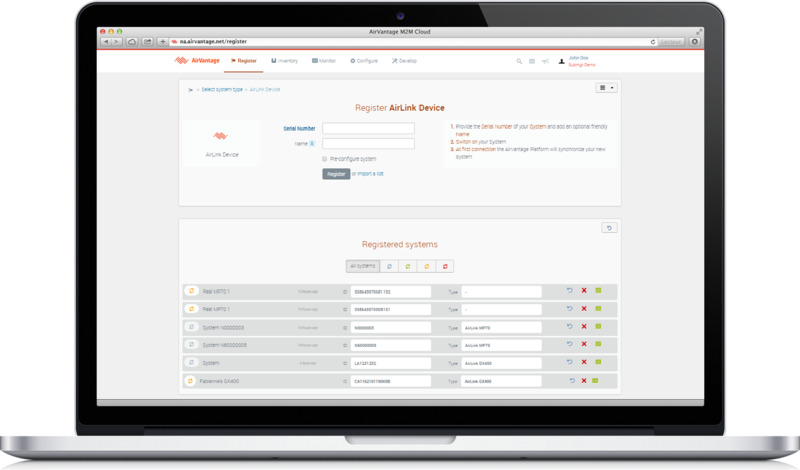 AirLink Management Service (ALMS) supports both current generation and legacy AirLink gateways and routers. For current generation hardware you will need the device’s serial number (for ES, GX, LS) or serial number and IMEI (in the case of the ES450, GX450, MP70, RV50/RV50X, RV55, LX60 and LX40). This information is printed and bar coded on the device label and is also displayed in ACEmanager. Your Sierra Wireless Partner should also be able to provide a spreadsheet of the required information for each order. For legacy devices (Raven, PinPoint and MP with ALEOS 4.0.8 firmware or newer) you will need the ESN or IMEI. They are printed and bar coded on the bottom label and displayed in ACEmanager. For more information about how to configure your gateway to use ALMS, please refer to the dedicated Gateway configuration page . 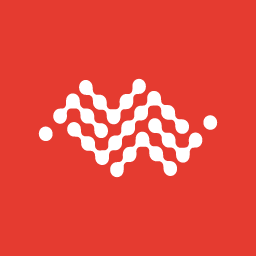 … and platform is that the AirLink device initiates communications and the platform responds back to the device with any operations that are currently in the queue. This is referred to as device-initiated communications and is based on the Heartbeat timer set by the user. For example, operations that may be in queue in ALMS include: Status Update (which asks the device to send a standard set of approximately 20 common status parameters), apply a new configuration template or update firmware. The AirLink hardware will always communicate with the platform upon power-up and then at a predefined heartbeat period. This built-in heartbeat timer is by default set to communicate once a day (1440 minutes). This timer can easily be set to the time interval of your choice from within ALMS. Alternatively, it can also be set in the AirLink ACEmanager UI, but this will not set the other related timer functions (switch the communication status to warning/error in case of missing heartbeat) in ALMS. We suggest using the configuration setup in ALMS. If your cellular network operator provides you with static IP service you can enable server-initiated communications to allow immediate initiation of a task rather than waiting for the next device-initiated interval. All regular communications to the platform will remain device initiated so you do not lose any ALMS functionality if you don’t use the server-initiated feature. Server-initiated communication will only function on the older MSCI protocol. 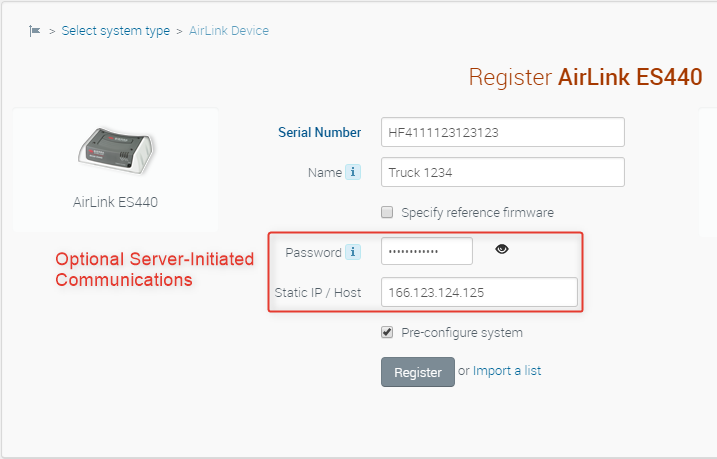 For more information, see How to set up server-initiated communications for AirLink gateways . … requires the ALMS communications sent by your AirLink device to have access the Internet. If you have restricted Internet or private network data accounts, there are a variety of options to allow ALMS to fully function. Discuss this with your Sierra Wireless Partner to find the best solution for you. For more information, see How to configure my infrastructure when devices are in a private APN? . Log into your ALMS account using the credentials sent to you during the account creation process. When you enter the serial number, the Registration page detects your device type and adds the appropriate fields for you to complete. For devices that operate on LWM2M, the IMEI/ESN field appears. LWM2M is the default protocol. For devices that communicate with ALMS using MSCI, the Password and Static IP/Host fields appear. You can optionally add a name to more easily identify the device in ALMS. Important: If your device communicates with ALMS using MSCI, make sure you enter the ACEmanager password from the device. This is not required if your devices communicate with ALMS using LWM2M. The password is required to allow ALMS to remotely change the ACEmanager password. Enter the ACEmanager password used to login to this device directly. It is also used to enable the ALEOS server-initiated communication option, and as the M3DA password for ALEOS Application Framework (AAF) applications. 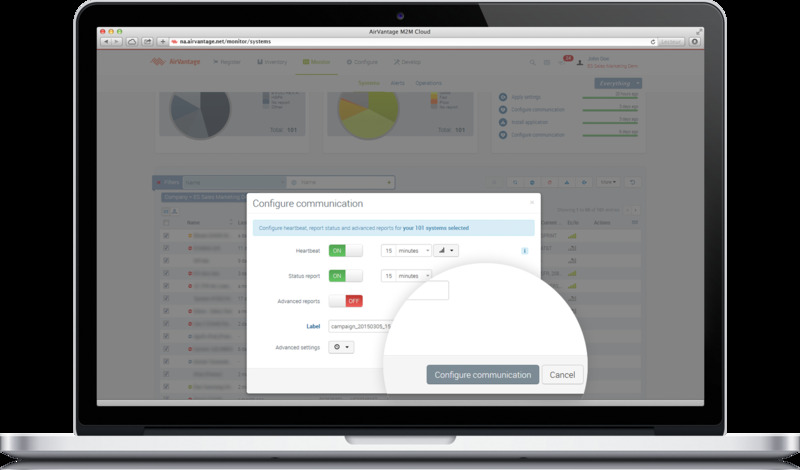 For MSCI devices, you can enable server-initiated communications to trigger immediate interaction with the device. To use this feature, you need to add the device IP address and password. Sierra Wireless does not recommend using MSCI, and all new devices will use LWM2M by default. You must be able to ping the device IP address through your network connection in order for this option to work. Not enabling server-initiated communications does not limit the functionality of ALMS in any way. 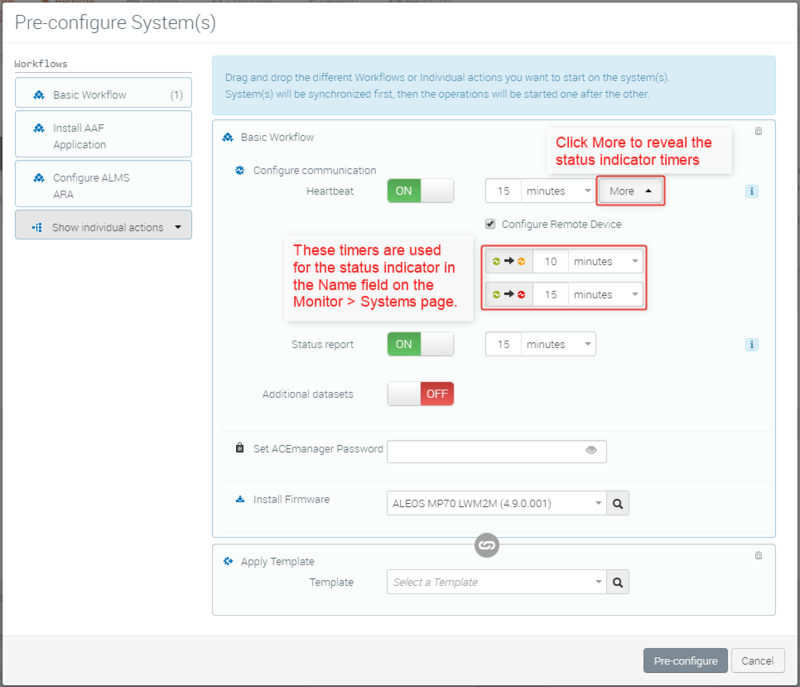 To simplify your deployment, you can pre-designate the configuration you want ALMS to apply when it connects the first time: Firmware version, Configuration template, Communication intervals with ALMS and scheduled reports. 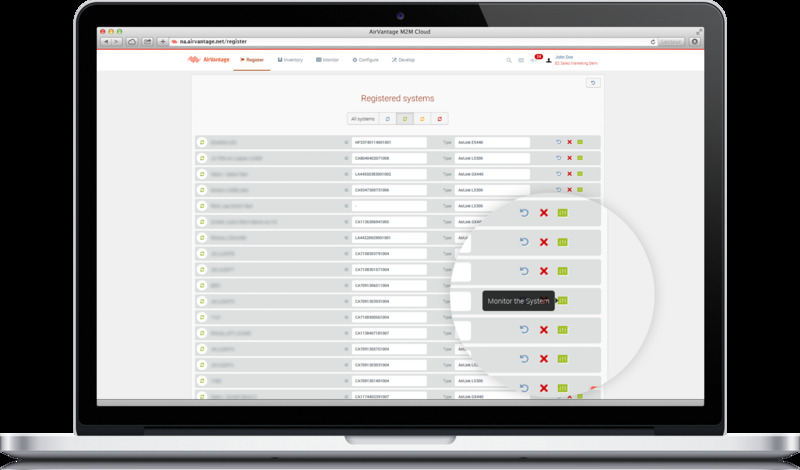 See How to register systems with an initial configuration for more information. On the Registration page, select Specify Reference Firmware if you wish to change communication protocol. For example, if you need to use a LWM2M device with MSCI, you can select an MSCI firmware build. By default, if you do not specify a reference firmware, your device will be updated to the latest reference firmware upon registration. Please note that Sierra Wireless does not recommend using MSCI. 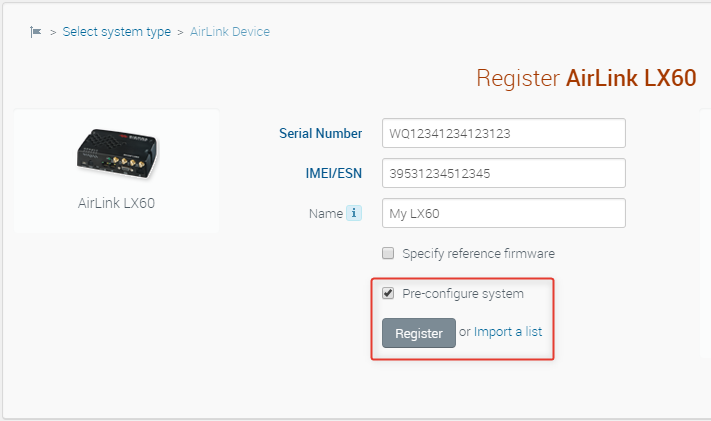 You can also install new firmware on the Pre-configure System(s) page. 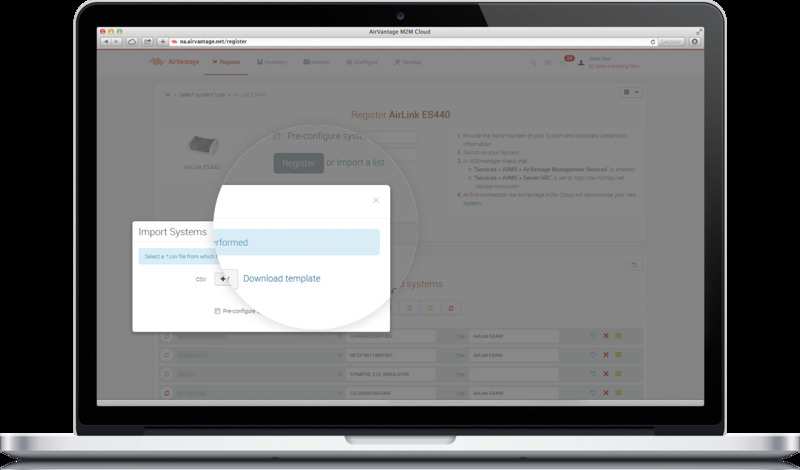 You can use ALMS to easily manage the configuration of your entire deployment. You must create the configuration template within ALMS, you cannot import a template that you created in ACEmanager into ALMS. To create a template, go to the Configure > Templates page. Click the + to begin the process. You have the option to create a new template (select Brand New) or create one from an existing device that you already have communicating into ALMS (select From System). For more information, see How to create a template . All relevant operations that are in queue in ALMS are triggered based on the Heartbeat. This timer cannot be set to less than 15 minutes (unless you are in the ALMS ARA offer class). Note that the Heartbeat will consume ~1.4 Kb of data in HTTP or ~5.8 Kb in HTTPS. Clicking More expands the window to show two additional timers that relate to the communication status icon that appears on the Monitor > Systems page. You can enter a timeout value to change the green icon to amber and from amber to red. Status Report is the time interval for collecting the predefined group of status data from the modem for display in ALMS. Once added, switch on your AirLink gateway and it will communicate with ALMS. During the first communication, ALMS synchronizes all gateway parameters and changes the system state to Deployed. The gateway may reboot one or more times during this process. Your gateway is now ready to be managed. The Monitor > Systems page is the primary page for understanding the state of your deployment. 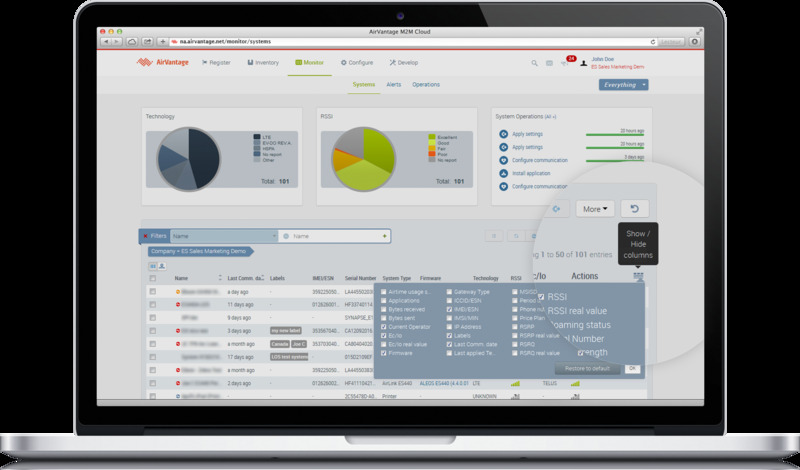 It provides access to all gateways along with their status, communication history, configuration and management. This page is also customizable to present the information that is most important to you. If you find that your device is not communicating with ALMS as frequently as required, you should run a Configure Communications operation. Click the Configure Communications action button. The communications timer window will open and you can set the Heartbeat and Status Report timers as desired. The timers cannot be set for less than 15 minutes (unless you are in the ALMS ARA offer class). When selecting more than one gateway, all the values will be set to “off”. It is important that you re-set all values, or they will be disabled. Congrats! Your first device is connected to ALMS. You can take a look at the management features at your disposal: AirLink Management Services Features. You can also register multiple devices in a single operation by importing a CSV file. The template for this file is downloaded from the Register window. First click Import a list and then click Download template. Note that you can only import the selected type of AirLink device with this action. In this example it is an ES440. If you have other device types, they will have to be registered separately.